Spiders are equally fascinating and terrifying. Watching them weave their intricate and surprisingly strong webs fills you with both fear and curiosity. While most people are afraid of spiders, some are truly disturbed by them, this is called arachnophobia. Not all people who have this phobia can explain the reason why they fear spiders. It could be the way they crawl or their hairy body or just the thought of it being venomous. Of course, not all species possess venom that’s dangerous to humans, but there are some that can cause death if not well treated. 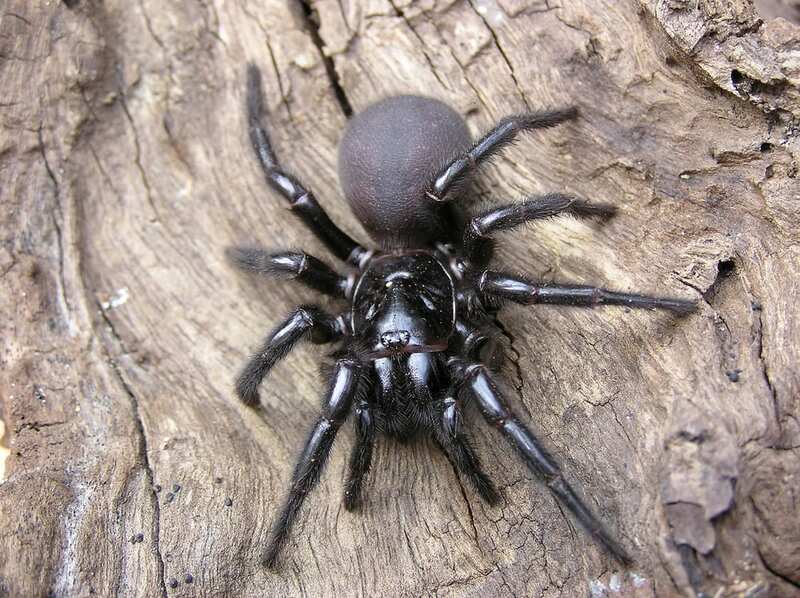 Tenth on the list, also known as “Aggressive Common Spider.” Its bite and venom are not life-threatening but painful, and it takes time to heal, usually up to a few weeks. This spider reacts aggressively if threatened by humans. 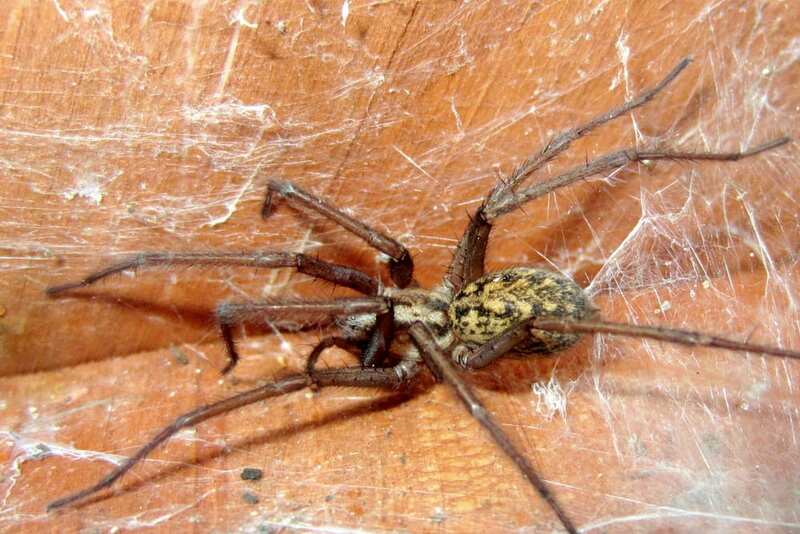 The Hobo Spider originated in Europe, but has been rising in population in North America. The fact they prefer to reside in our homes is quite bothersome considering that’s where we are most likely to encounter them. A ferocious-looking spider which measures up to six inches! 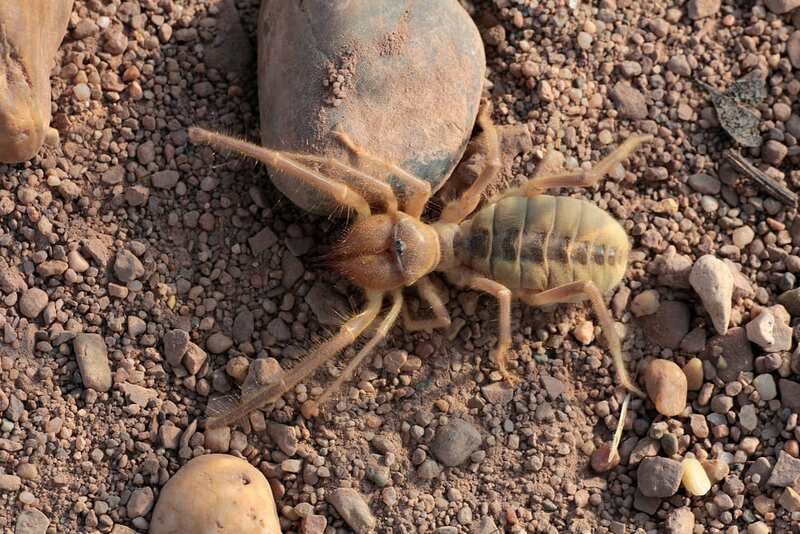 The Camel Spider is found in the deserts of North Africa and hides from the scorching heat of the sun by dwelling underneath the sand. It runs as fast as 10 mph. This non-venomous spider has a powerful jaw and it measures one-third of their body length. Although lacking venom its painful bite, large size and looks make this spider quite threatening. Also known as Black-footed Yellow Sac Spider. It is noted for numerous spider bites all over the world. It releases a mild toxin upon biting. Clear off if you happen to encounter this spider because its bite will give you a sharp pain and leaves the injured area swollen with a blister. It is usually present in Canada and Australia. Its 1/4 inch body size and pale-yellow color make this tiny spider very difficult to spot. The name Tarantula originates from an old Spanish dance. Just like its step, you’ll end up jumping around once bitten by this big guy! 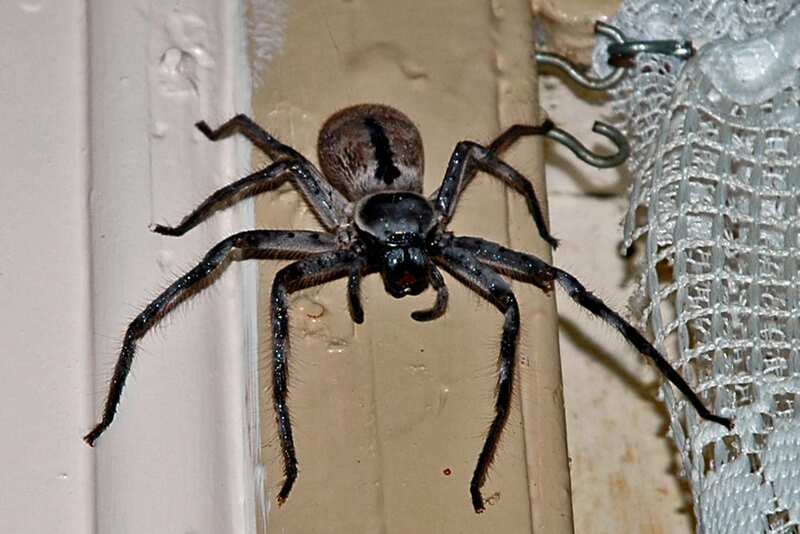 It is large and usually hairy, which is one of the reasons why people are afraid of them. With an exceptionally potent bite, there is no recorded death yet, it causes muscle cramps in the injured area and possible chest pain. Its venom causes an agonizing pain and needs immediate medical treatment. Although this spider has a lethal venom in their fangs, it gives a dry bite which means it doesn’t release venom to its victim. The Mouse Spider is less aggressive compared to the listed above but it will attack or bite when threatened. 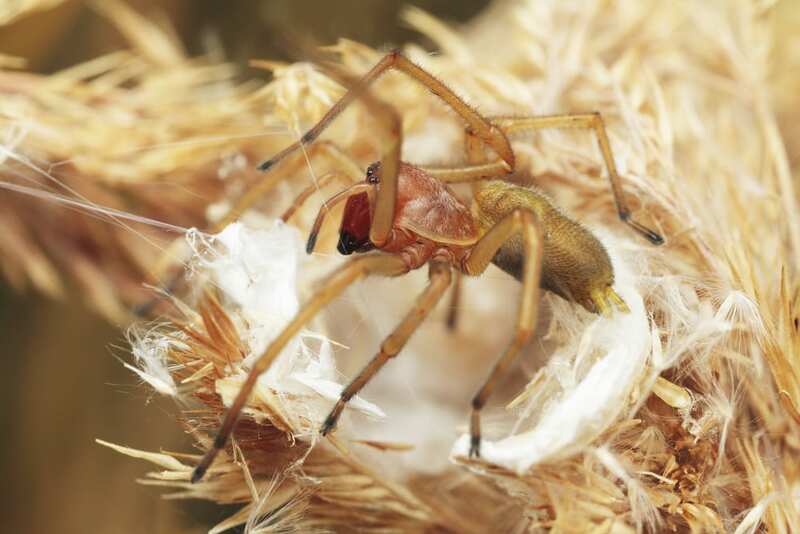 A red-headed spider with bulbous jaws is its known characteristic which makes this spider easier to identify and avoid. It was called mouse spider because of its furry abdomen. 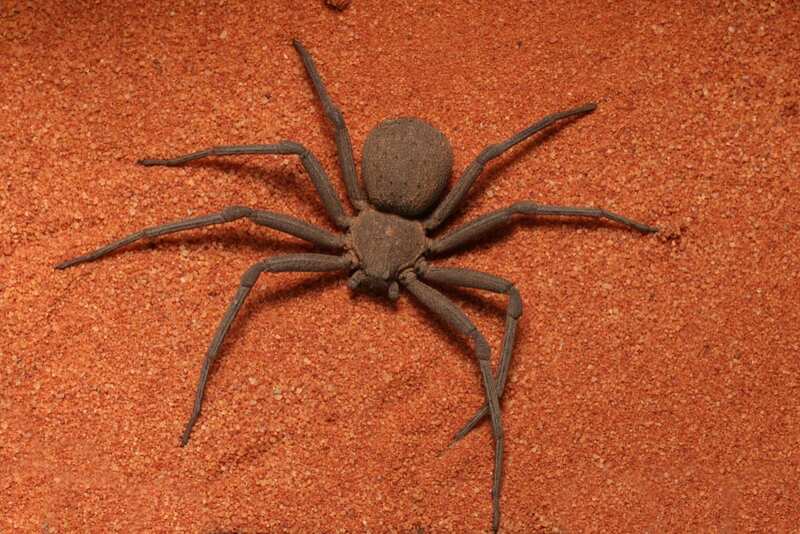 This spider hides under the sands across the southern half of Africa. It does this to hide from the scorching sun, and to ambush passing animals. It attacks the prey as it passes by, feeling the tremors in the ground. Results in a test showed that a rabbit dies five hours after being bitten, the potent venom which produces necrotic skin lesion and is hemolytic causing the blood not to clot, allowing it to flow freely from the wound leading to blood loss and death. Although no record shows that it has already fatally wounded a human, it’s definitely one to watch for. 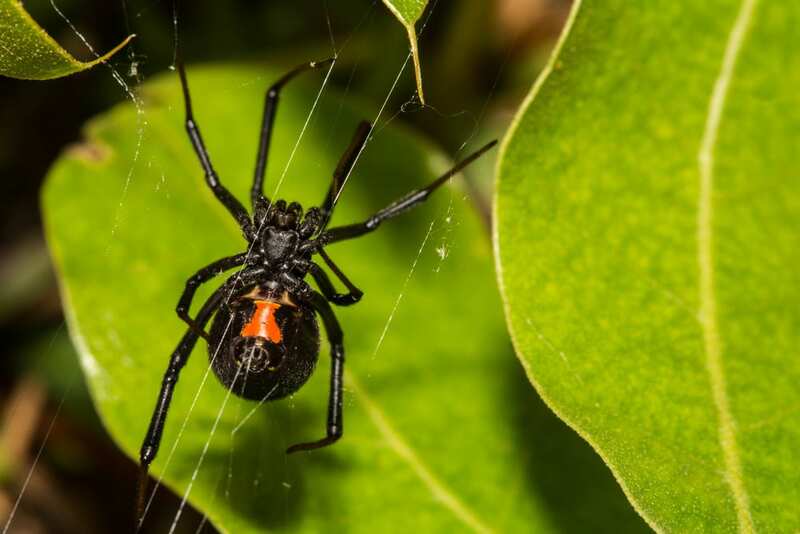 Just like a line in Iggy Azalea’s song “Black Widow.” This spider is known worldwide and is notoriously deadly! The Black Widow is found predominantly in Australia. This spider usually has jet-black abdomen. The poison it delivers is extremely painful causing the victim a burning pain, nausea and abdominal cramps. These are only some of the symptoms a victim gets when bitten by this spider. Extremely risky as it is capable of killing young ones and old. 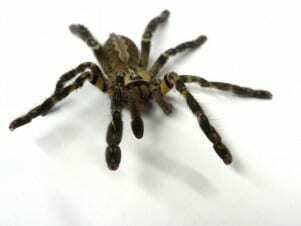 As the name implies, this spider is shy and pulls away from humans. It is found all over the world where the climate is warm. It ranked third because of the effect its venom delivers once it bites you. Chilean Recluse is not the worst as what others believed, but nearly all have the same efficacy. 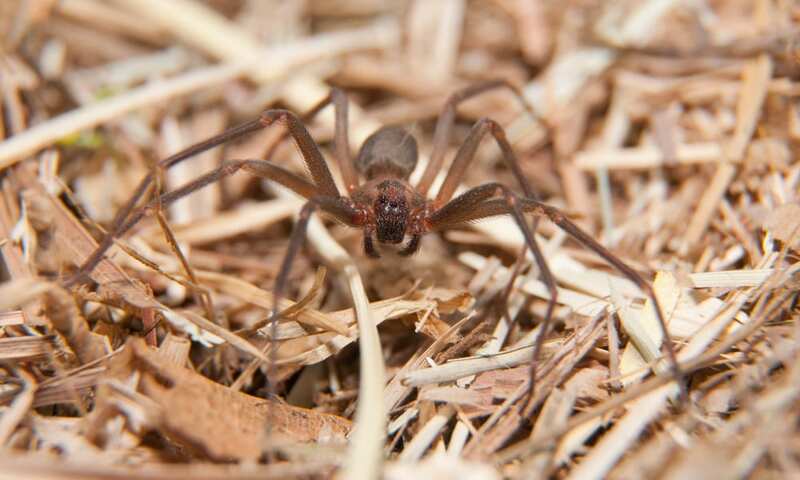 Brown Recluse Spiders are also known as Violin Spiders or Fiddlebacks. Its bite causes necrosis of the surrounding tissue. Some effects are mild, but in others, it is so severe that amputation of the infected arms and legs is a must! Victims face a severe dilemma for the lack of sufficient cure from its bite or side-effects. In 1981, a discovery was made. A potent anti-venom was found. Big thanks to the Lord! This spider is exceptionally aggressive, delivers multiple bites and will not run away if it feels in danger. The victim receives an ample amount of venom due to multiple bites with its large, needle-sharp fangs. It clings to the victim, a trick they use to inflict numerous attacks. With their mighty fangs, it can even cut through a leather shoe. Stay away from this species! The male spider is more potent because it contains more venom than its female counterparts. The venom is a powerful atracotoxin that can cause death in minutes. 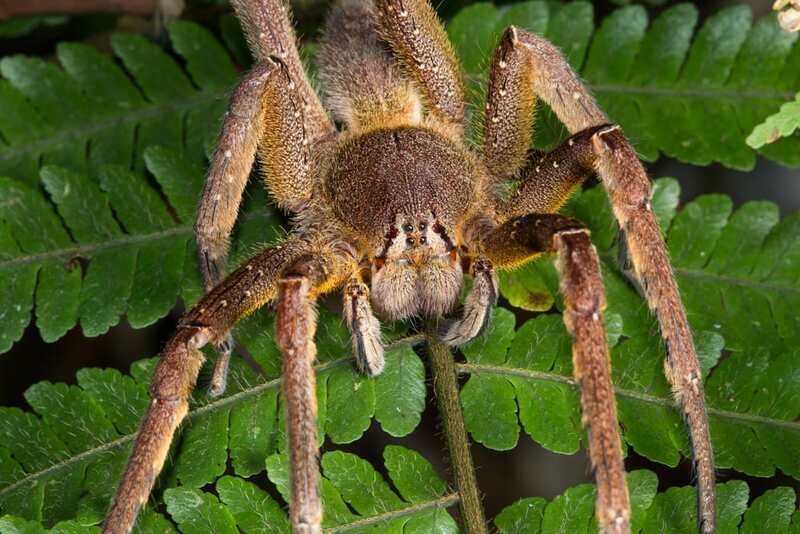 On top of our list is the Brazilian Wandering Spider. Its scientific name Phoneutria originates from the Greek word “Murderess.” As the name implies, it is the most pernicious spider on earth. Just one bite and it will kill outright if the victim does not receive anti-venom immediately. It contains neurotoxic poison 20x more potent than that of the Black Widow! Losing muscle control is one of its effect which ultimately leads to the cessation of breath. Another awful reaction is the excruciating pain that you will suffer for hours as you die slowly. The spider is known to wander and travel to unexpected places which can catch unsuspecting victims off guard. These little creatures are dangerous and humans who fear them are often right! But no need to worry too much as the probability of crossing their path is quite slim so don’t be alarmed. If by chance you see one, try to clear off as things might go ugly because one bite will definitely mean a lot of trouble! Which of these most dangerous spiders have you encountered?